St. Charles City School District wanted something extraordinary as they designed their brand new Early Childhood facility. The community would agree that they reached their goal as they opened their doors August 11, 2018. Play 4 ALL and Cunningham Recreation created an outdoor play space equipped with unique inclusive features including Sensory Wave Climber with adaptive switch technology, GameTime Expression Swings®, sensory tables, musical instruments, and even an outdoor classroom. 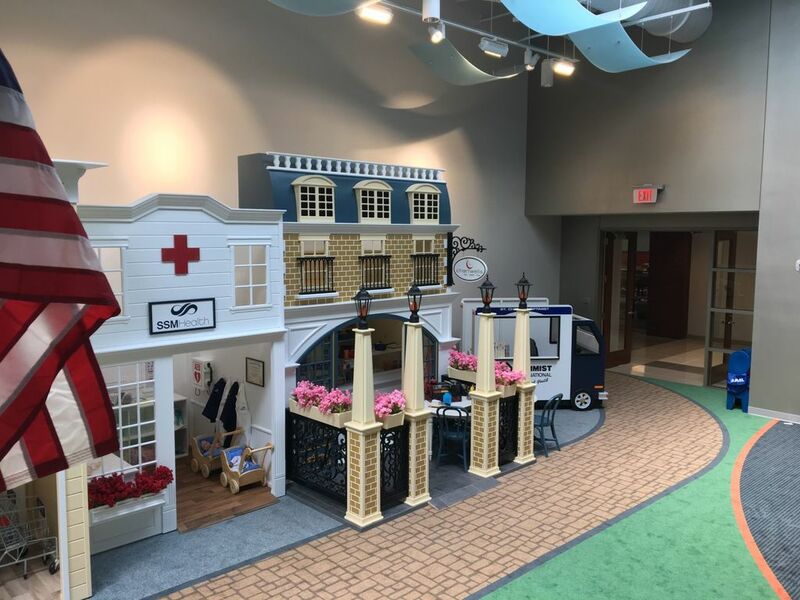 When St. Charles City School District asked Play 4 ALL Community Resource Manager, Victoria Babb, to help create an indoor play space that was a miniature version of the Historic Main Street located just a few miles away, Play 4 ALL and Cunningham Recreation rose to the occasion. Our Town, St. Charles was designed to provide enriching gross motor and dramatic play activities while teaching preschoolers the importance of a community. Children learn and “operate” the town equipped with a firehouse, market, bank, bistro, park, trolley and even a Town Hall that has a voting booth teaching children about the importance of civic responsibility. Play 4 ALL designed the community engagement program that raised 85% of the entire cost for the space and the accessories.